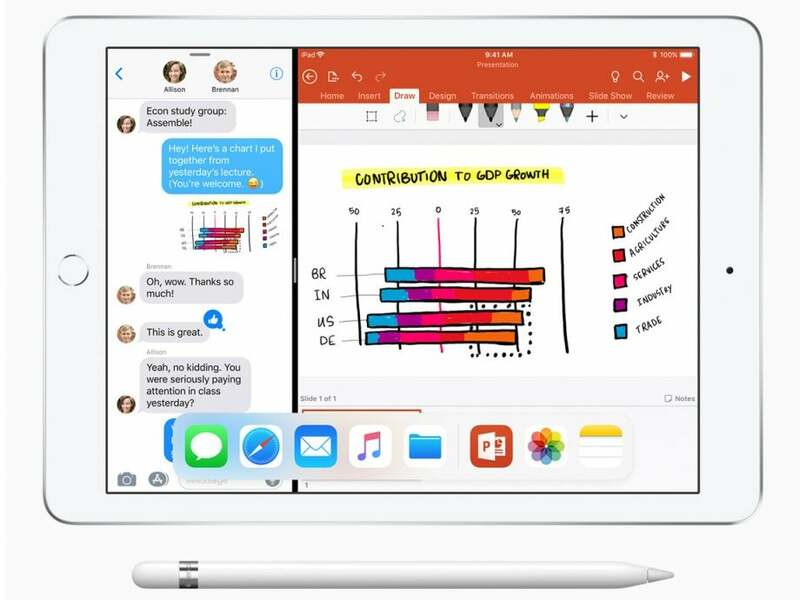 The Apple iPad 9.7(2018) is equipped with A10 Fusion processor and 2 GB of RAM. The iPad 9.7 runs iOS 11.3 and packs a Non-removable Li-Ion battery (32.4 Wh). The Apple iPad 9.7boasts of 8 mega-pixel back camera and 1.2 mega-pixel front for selfies.